Romantic Lake District Cottages for Two. Quiet breaks perfect for couples. Experience our Lake District Cottages For Two. Ellen Hall nestles just outside the village of Gilcrux and is named after the nearby river Ellen. Once the home of the Dykes family and several Sheriffs of Cumberland, it’s a secluded little haven by a tranquil beck. Nearby, Wardhall was the seat of Thomas Dykes until the time of the English Civil War, when as a Royalist, he forfeited his land and was imprisoned in Cockermouth castle. His son Leonard Dykes built a new home in 1652 on his marriage to Grace Salkeld. It is now home for our romantic Lake District Cottages for Two. The family names “Dykes” and “Salkeld” are also used for two of our luxury romantic cottages. Once a quaint working farm, Ellen Hall was transformed into the old stone barns and stables that are now seven cottages exclusive to couples. Our self-catering holiday accommodation has been the perfect retreat and romantic break for many a satisfied visitor now. Its secluded setting in the peaceful Ellen Vale, just outside the Lake District National Park, lends itself to guests wishing for a tranquil and relaxing break. A beautiful quiet hideaway from which to recharge yourselves and soak up the sounds of soothing birdsong and babbling brooks. There are some lovely easy walks directly from your cottage door, directly into the rolling countryside. You can even do a round trip involving the quaint villages and hamlets of Wardhall, Gilcrux and Tallentire villages. The seven Lake District cottages for two really are made specially for couples……. No need to heat or tend to large spaces that just aren’t required, so no need to pay any more for your perfect holiday accommodation than is necessary. Book direct with owners, without agency fees (doing your bit for eco-tourism). If you want the luxuries of a four poster bed, ingle-nook fire, and bath with steam room for 2, you will without doubt love our larger Lake District cottages. Take a look at Salkeld or Dykes cottages for very special accommodation, they are very affordable too! Furthermore, if you’re out and about all day enjoying the delights of some of England’s finest scenery in the Lake District and looking for truly great value holiday accommodation, then Stables or Hayloft will suit you perfectly. 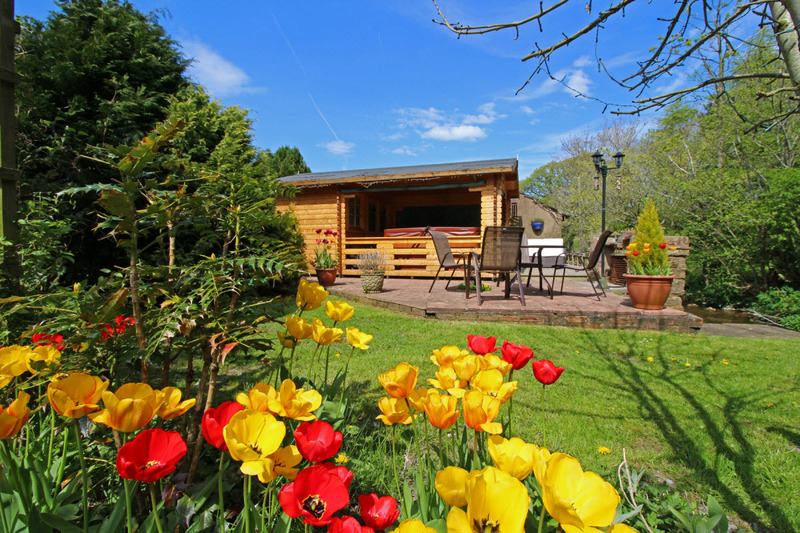 All our Lake District Cottages for Two have free wi-fi, ample off-road parking and private access to our hot tub. Cottage grounds with lodge and hot tub. Guests can enjoy the beautiful grounds around Ellen Hall. With the beck running past and the abundance of wildlife; all the hustle and bustle of everyday life, with attending stress is washed away. Go on! 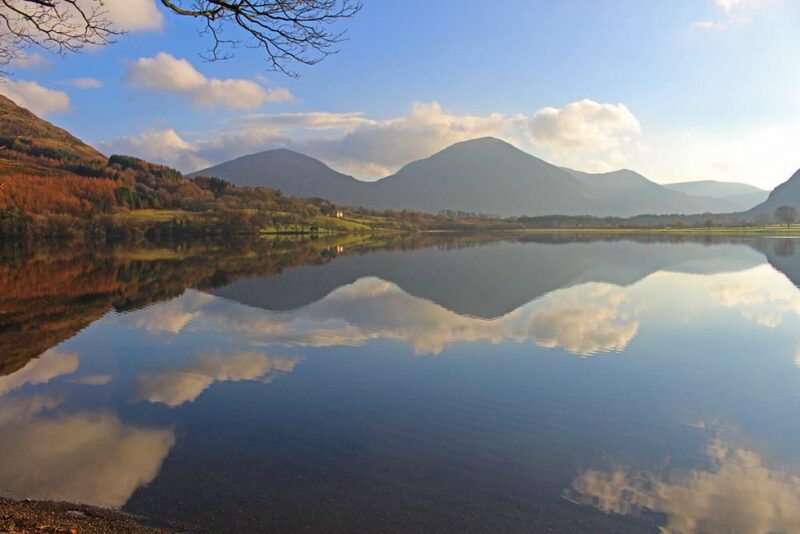 Venture out into the national park, enjoy a walk around one of the many beautiful lakes, or intrepidly summit a fell or two……then you can reward yourself with a therapeutic Hot Tub or even a BBQ by the beck. Perhaps just put your feet up on the sun deck, even enjoy some drinks as the sky fills with the evening blaze of the setting sun. For dog friendly holiday ideas and options- Dog friendly Lake District cottages.